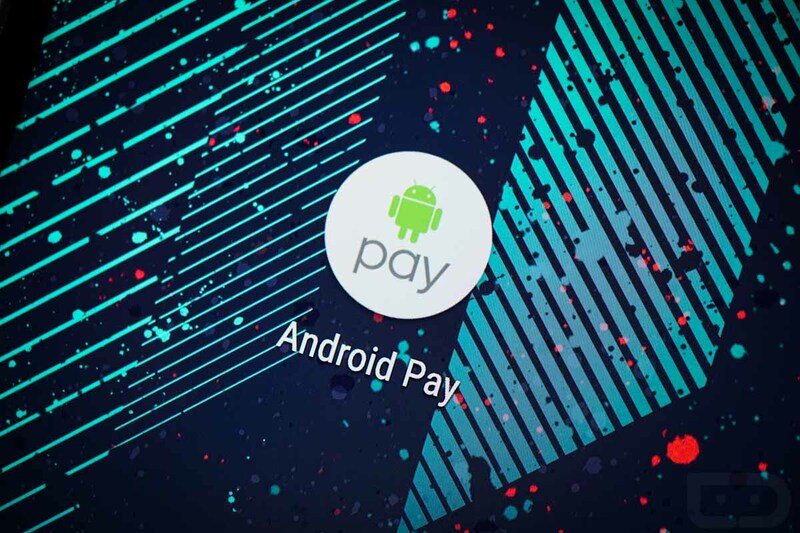 Yup, at last, Chase will support Android Pay. 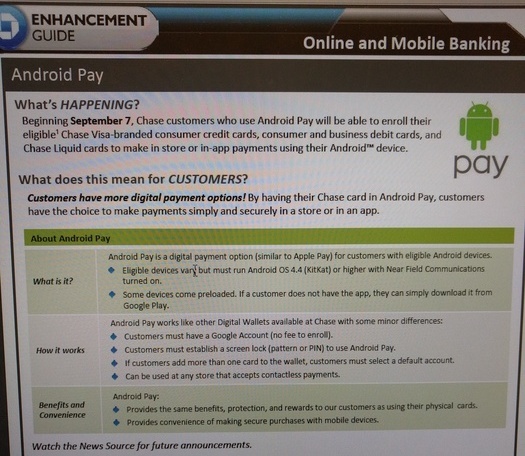 In a leaked photograph of a Chase “Enhancement Guide,” the company claims it will bring support on September 7, allowing members to take advantage of Google’s mobile payments platform. Which members can use it? Well, if you use a standard Visa-branded credit card or consumer debit card, you can use it. Support will also be available for business debit card and Chase Liquid card users. So, while all of these major banks appear to be adopting the future, my bank (Simple) continues to hold out on me. Get with the times, financial institutions. Once the announcement is made official by the Android Pay team or Chase, we will let you know.